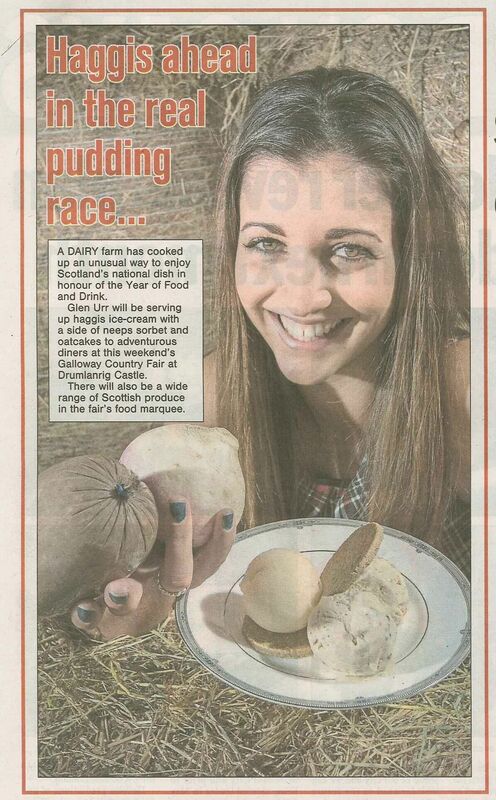 We’d like to take you back in time on youtube to the Royal Highland Show back in the 70s. 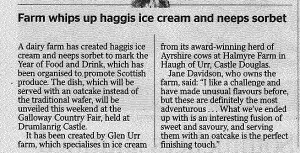 Skip forward to 1:57 on the video to see ‘Grandpa’ Laurence Davidson leading Halmyre Urr Mayflower 40 to win the dry cow class at the Royal Highland Show, the year after she’d taken the championship title. 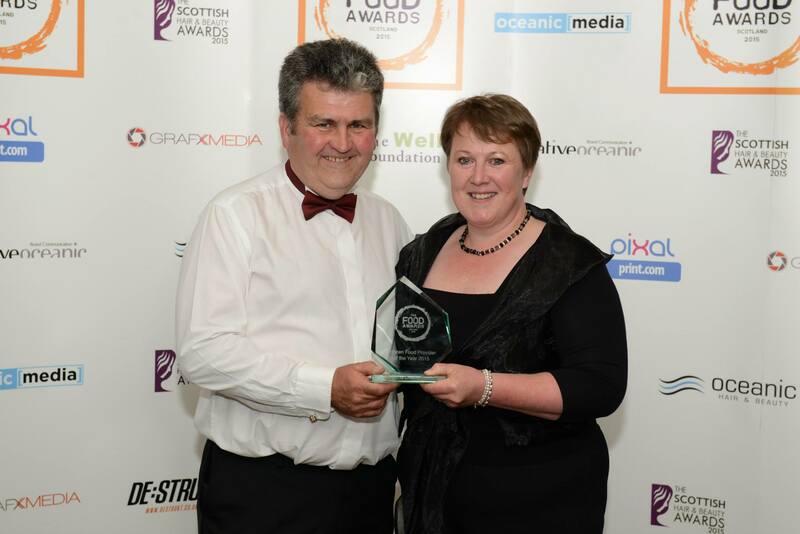 We stood reserve champion Ayrshire at AgriScot 2015 for the second year running. 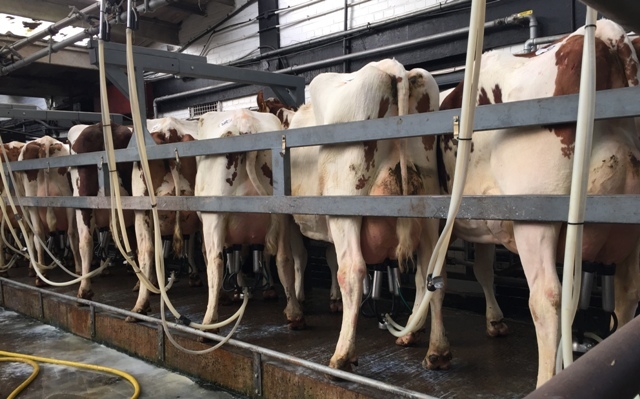 This year it was our fifth calved Halmyre Urr Mayflower 240 that stood reserve this year, classified EX91 as a third calver she calved her fifth at the end of September and is giving 42kg a day. 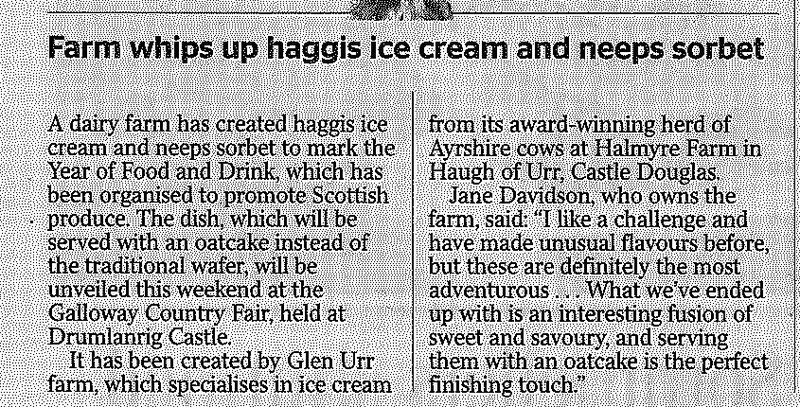 She is sired by Halmyre Urr Pinsent, a Woodland View Pardner son. 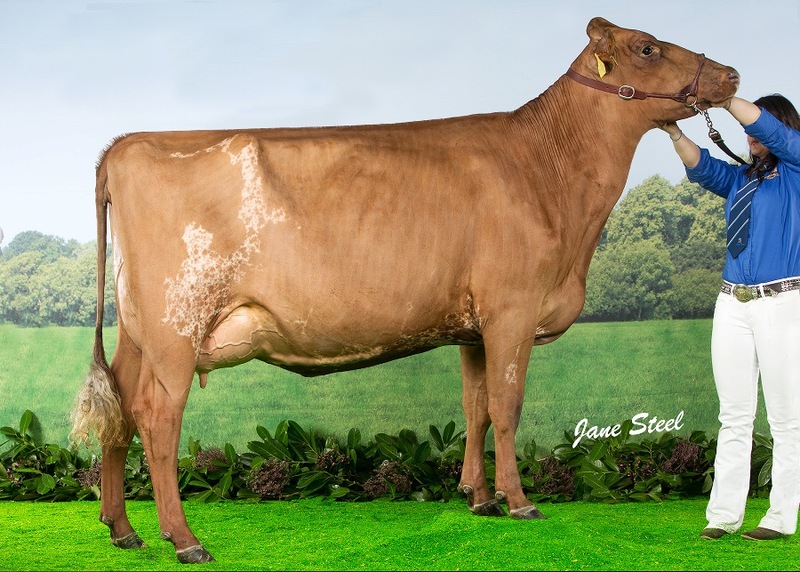 In the Red and White heifer class we stood second and reserve champion with Halmyre Urr Etta 363 VG85, a Scientific Debutante Rojo daughter. 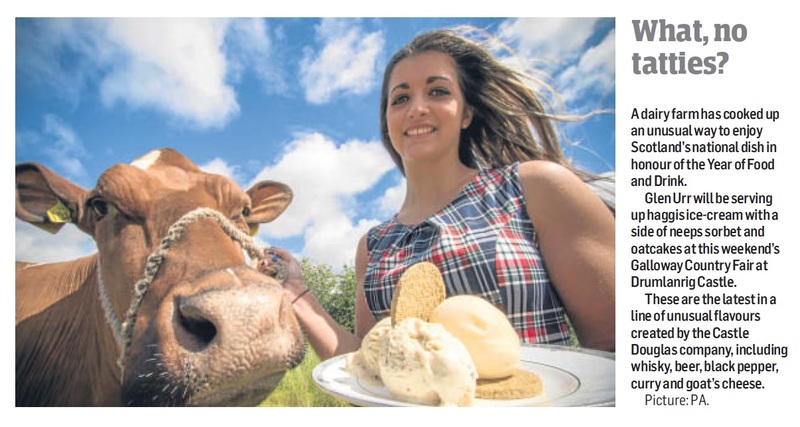 Fresh in June she stood second at Dumfries Show and reserve champion at Stewartry Show. 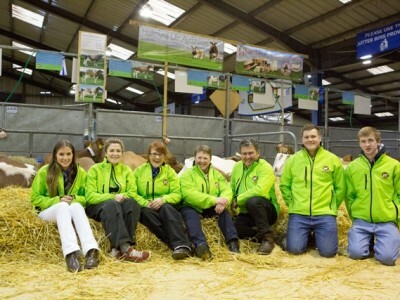 Thank you to all of the team for their work in getting the cows looking their best in the ring. The fifth calved Halmyre Urr Mayflower 240. Halmyre Urr Mayflower 240 stood top of the preliminary line up. 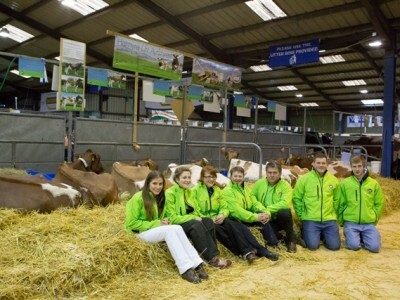 The team responsible for showing and preparing the Halmyre Show team. 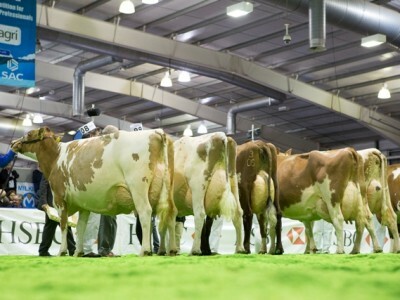 Final line up in the mature cow class. 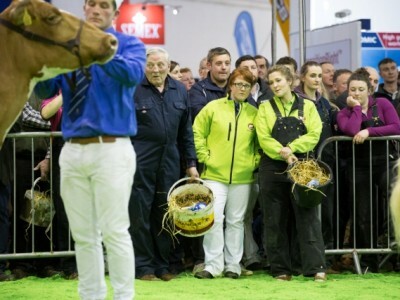 We are please to have purchased Ballygreggan Jura 8 at Archie and Tracey Millar’s Ballygreggan dispersal at Carlisle. 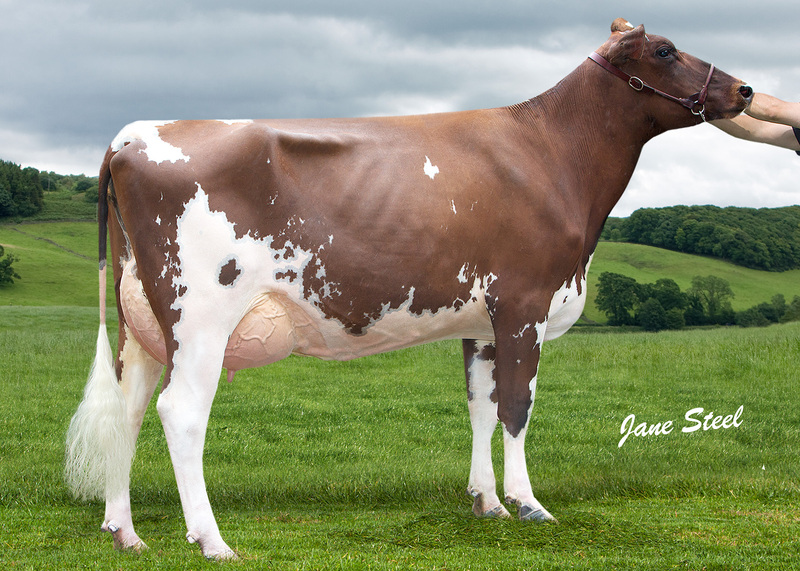 This fresh third calver is by Cuthill Towers Romeo gave 6364kg at 4.65%bf and 3.33%p in her second lactation. 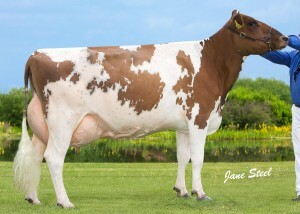 Her dam is an EX91 scored McCornick Navigator daughter. 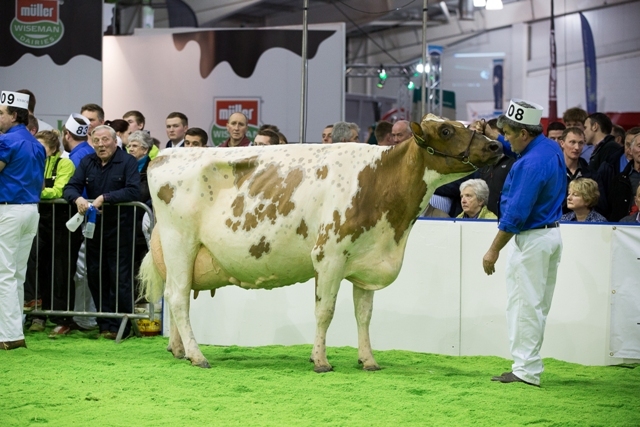 Earlier in the day our consignment of heifers sold up to 1500gns twice, first to reach that mark was Halmyre Urr Mayflower 268. This daughter of Halmyre Urr Hunters Joe is out of a Halmyre Urr Journeyman dam and sold to IT and EM Carlyle. 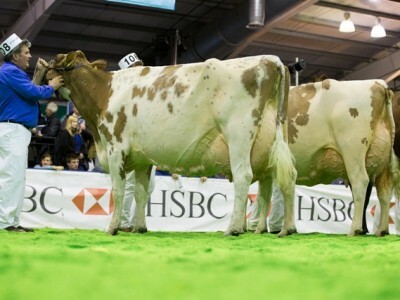 Also making 1500gns was Halmyre Urr Mayflower 271, also by Hunters Joe she is out of a Halmyre Urr Walnut sired dam. 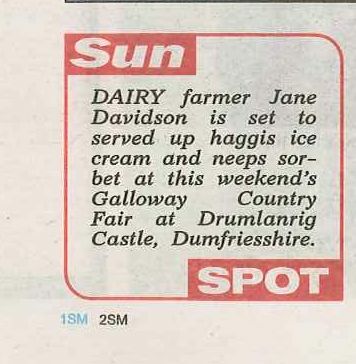 She calved at 25 months and was purchased by Mr Danforth. 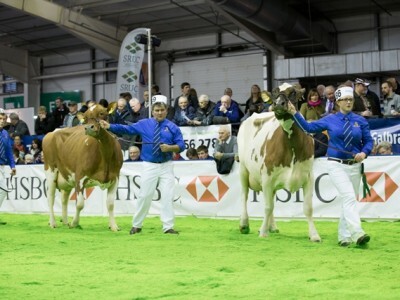 Two heifers then made 1450gns, the West Mossgiel Mordern Reality daughter Halmyre Urr Louise 292 sold to Messrs A and R Paton, who also bought Halmyre Urr Ladybird 475, a Halmyre Urr Hunters Joe daughter. 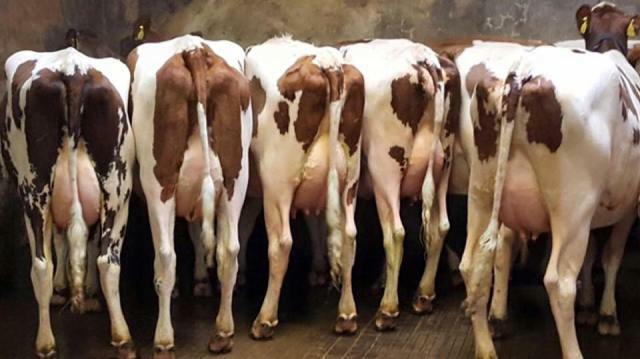 Overall ten heifers sold to average £1440.60, thank you to all bidders and buyers. 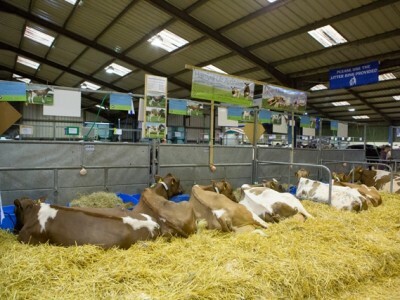 This year’s South West Scotland Dairy Show attracted a good show of cattle and was well supported by spectators. 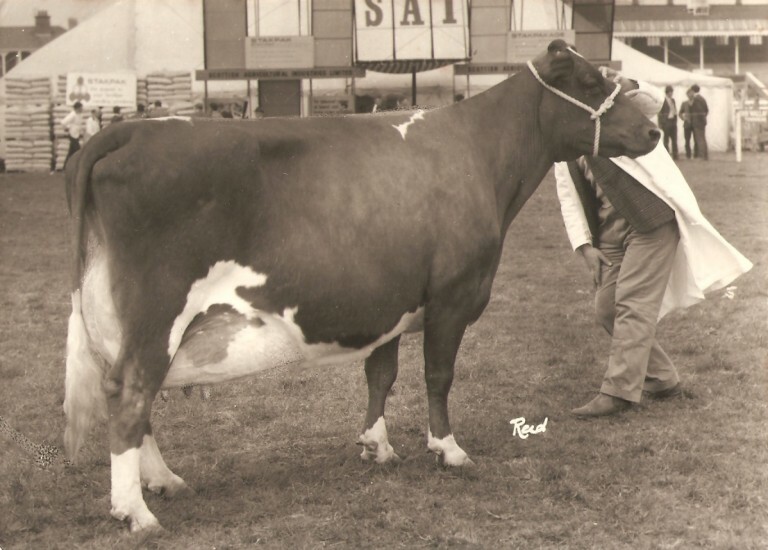 Halmyre Urr Ladybird 445, a Halmyre Urr Lieutenant daughter, stood reserve champion having won the second calver class. Calved in June she stood champion at Dumfries and Westmorland Shows. 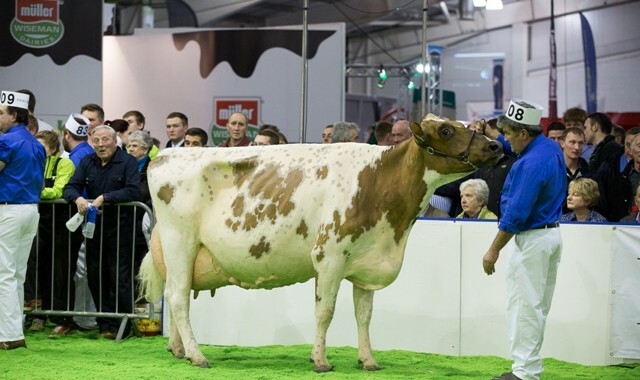 In the heifer class Halmyre Urr Ladybird 461 stood top of the line, also by Lieutenant she calved in June at 25 months and stood reserve heifer champion at Westmorland. 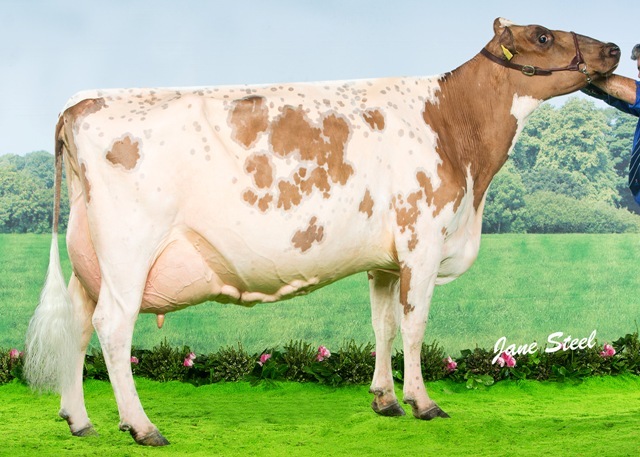 Halmyre Urr Louise 260 stood second in the mature class, only two weeks fresh having calved twins this third calver is by Palmyra Tri-Star Reality. 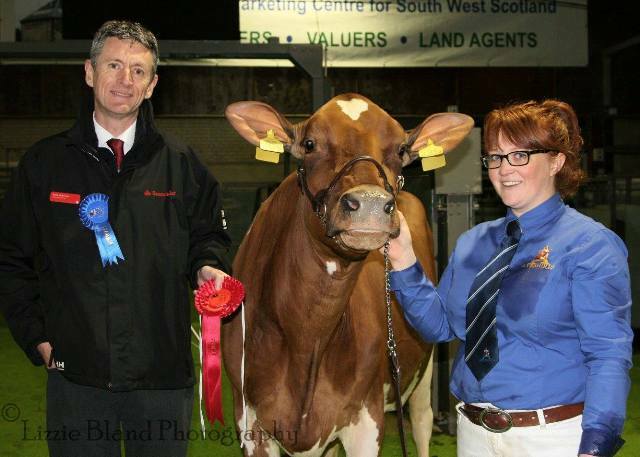 She stood heifer champion at AgriScot 2013 and was reserve champion Ayrshire 2014. 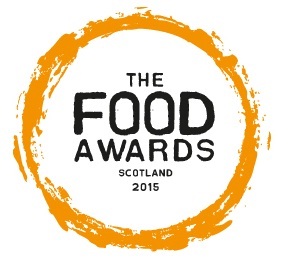 Thank you to Robin Baird from Dumfries and Galloway! What’s Going On? and Lizzie Bland for their photographs on the night. 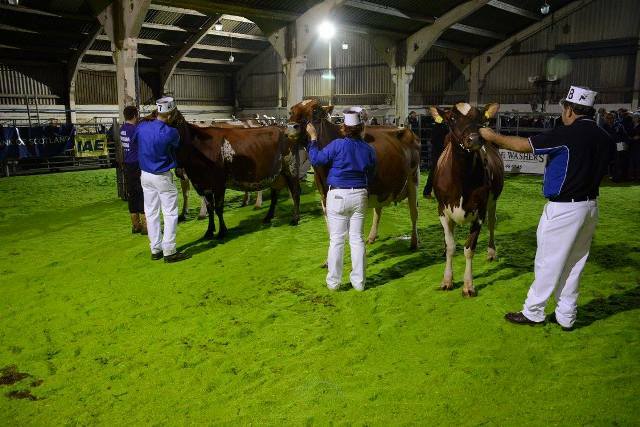 Keith and Katie had a successful trip to Westmorland County Show with two Halmyre Urr Lieutenant daughters. 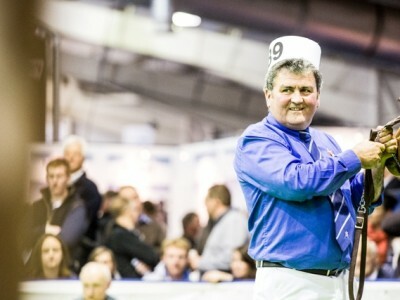 Halmyre Urr Ladybird 445 stood breed champion under judge Blaise Tomlinson before going on to be reserve interbreed in front of judge Owain Harries. 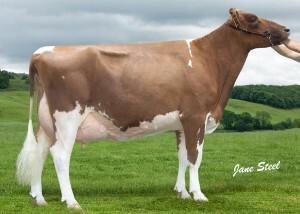 This VG87 scored second calved Lieutenant daughter calved at the end of June and stood breed champion at Dumfries Show. 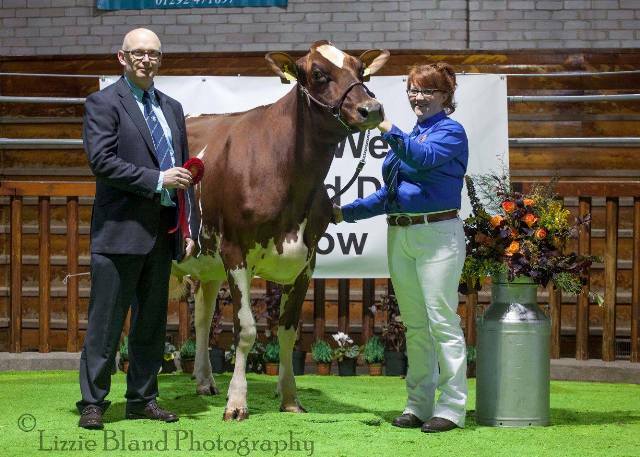 Standing second in the heifer in milk class and reserve junior champion was Halmyre Urr Ladybird 461. 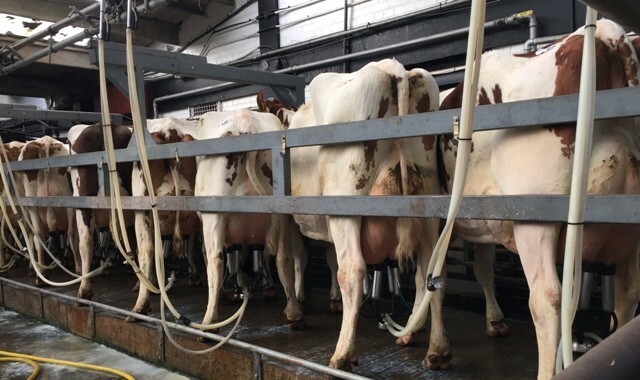 She also calved at the end of June at 25 months old and is giving 33kg a day. 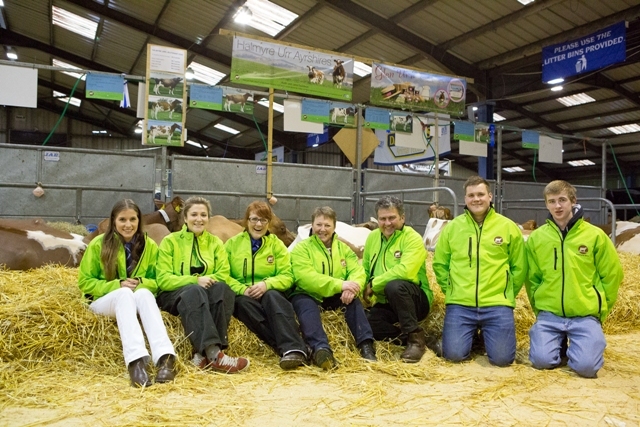 The Halmyre show team had a successful trip to Edinburgh for AgriScot with the highlight standing reserve Ayrshire champion. 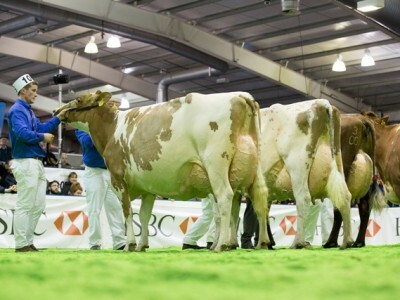 Halmyre Urr Louise 260 stood top of the junior cow class before going on to stand reserve champion. 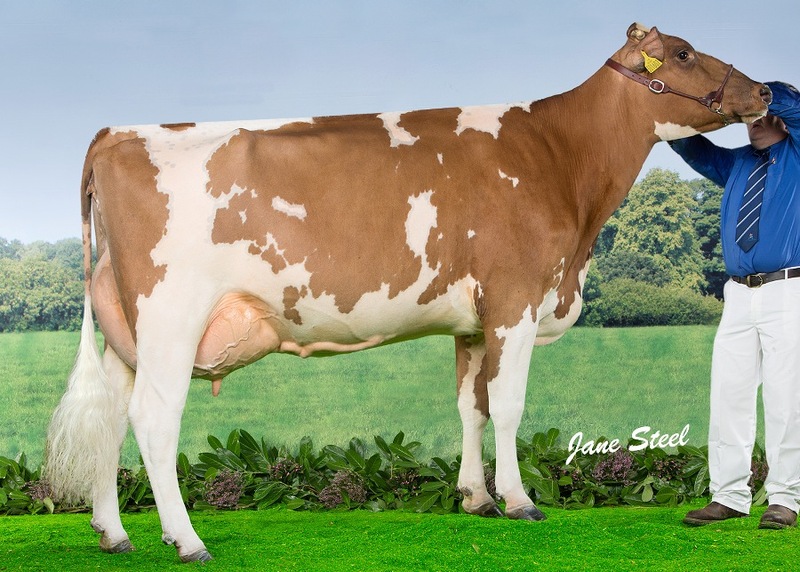 Sired by Palmyra Tri-Star Reality she stood champion at the South West Dairy Show and was champion Ayrshire heifer at AgriScot 2013. 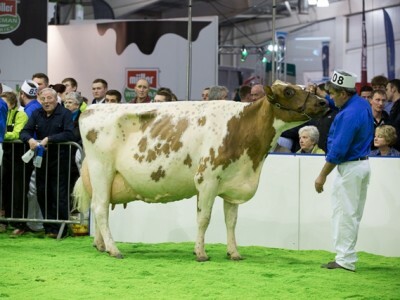 In the heifer in milk class we stood third with Halmyre Urr Louise 283, a Palmyra Tri-Star Burdette daughter. 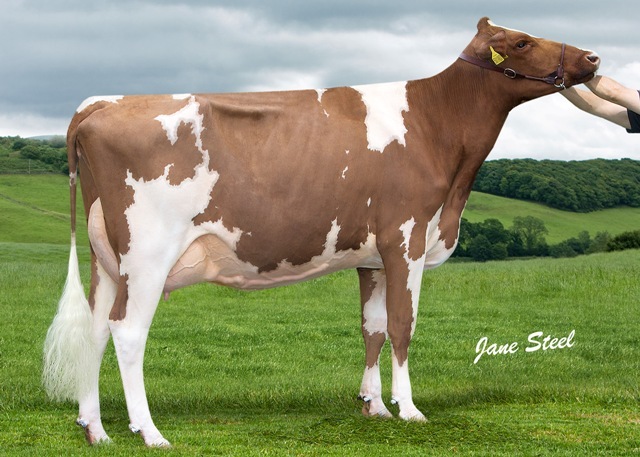 Having calved in October at 25 months old, she was the youngest in the class by over six months. 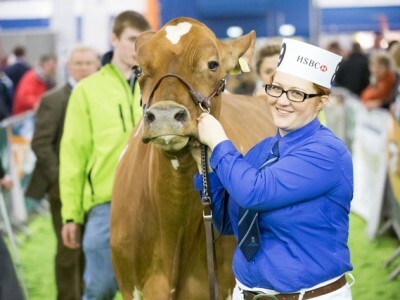 Thank you to Leiza Montgomery for helping look after the Halmyre show team at AgriScot and also for showing Louise 283.